Is Facebook Stalking a Good Idea? 02 Feb Is Facebook Stalking a Good Idea? Few technological innovations have proven to be quite as revolutionary as social media. Now, people are no longer confined to communicating with those in their immediate area or tethered to a phone call. Social media users can connect with friends and family all over the globe, though this isn’t always an advantage. Sometimes things go too far, and a person may feel threatened. We’ve all joked about Facebook stalking an ex or checking out a friend’s profile. But when exactly does a joke become something far more serious? And for that matter, is it even a good idea, to begin with? Here’s everything you need to know about Facebook stalking and its legal ramifications. Facebook stalking is one branch of a much larger issue, cyberstalking. 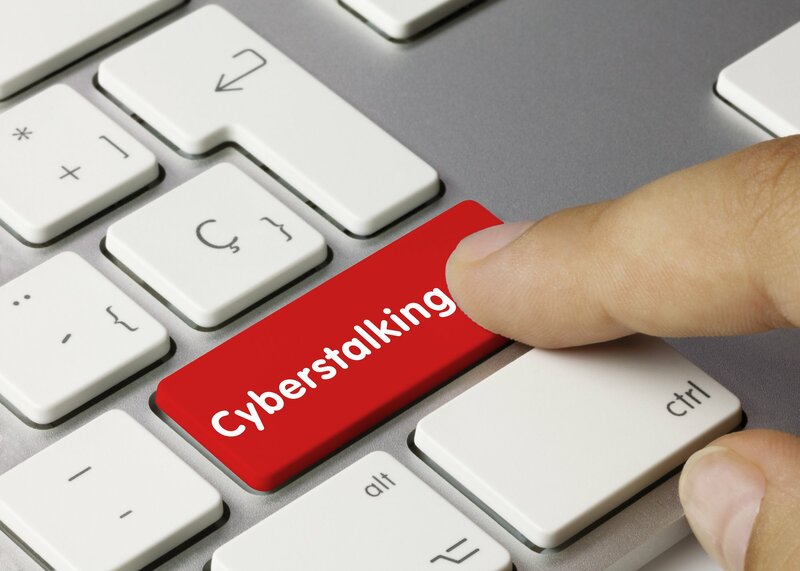 In order to understand how serious is, let’s take a look at what qualifies as cyberstalking. An exact definition is a bit hard to nail down, as different sources have different definitions. For instance, some claim that it’s only cyberstalking if you communicate the intent to harm. But for the sake of simplicity and ease, we’ll use Legal Dictionary’s definition, which is as follows. Cyberstalking is defined as, “…using the Internet, email, or other types of electronic communications to stalk, harass, or threaten another person.” Notice how it doesn’t mention anything about the intention to harm. What’s Stalking and What’s Normal Behavior? This brings us to a larger question: what exactly qualifies as Facebook stalking? If you were to ask 10 different people, you’d likely get 10 different answers. For some, simply checking someone’s profile repeatedly is enough to qualify as cyberstalking. For others, it requires more heinous intentions. Browsing an ex’s Facebook page is a bit different than messaging your ex over and over, for instance, so how do you know what crosses the line? Two key factors come to mind: intent and frequency. The intention of the communication matters a great deal. Just looking at someone’s page isn’t enough to warrant a criminal charge. But threatening someone or sending them dozens of emails will. The amount of unwarranted contact is another issue entirely. Imagine someone shows up at your house. You awkwardly talk to them and then they leave. Then they come back a dozen more times, even after you’ve asked them to stop. Cyberstalking is quite similar. One unwanted encounter is less egregious than repeated contact. So far we’ve established that cyberstalking isn’t well-defined but always features unwanted contact. But is it outright illegal? Depending on your state, it may be. Consult your local law firm or investigator to inquire about your state’s laws and definitions of harassment and cyberstalking. In most states, it’s considered a criminal defense, much like physical stalking. If convicted, cyberstalkers may face jail time and hefty penalties. Whether you’re going through a divorce or you’re curious about a friend’s life, there are many reasons why you may check their Facebook page. The key is to do so safely and legally. If you’re interested in finding more info on a friend or loved one, consult Lawrence Ryan Investigations, Inc.